Holmes Beach charter review commissioners have started taking votes on proposed charter amendments. At a March 21 meeting, CRC members unanimously voted not to propose adding term limits and not to increase the length of term from two years to three years for the mayor and commissioners. Additionally, a motion against amending the charter to require a supermajority to remove department heads was unanimously approved. At the March 28 meeting, charter review Commissioners Claudia Carlson, Nancy Deal, Chair Edward Upshaw and David Zaccagnino continued reviewing article 3 of the city charter, which deals with legislative powers of the city commission. Additionally, they began discussing article 4, the powers of the mayor. Member Sean Murphy was absent, but the group had a quorum, so votes could be taken and any proposed amendments could receive a supermajority. At a previous meeting, city treasurer Lori Hill proposed a charter amendment specifying that budget amendments be approved by resolution instead of ordinance. According to the charter, the annual budget must be approved by ordinance with two public hearings and two votes. A resolution only requires one vote. Hill said the proposed change would speed up the budget amendment process and cost the city less money for staff time and advertising hearings. City attorney Patricia Petruff, attending at the commission’s request, agreed. She said the city could keep the annual budget as approved by ordinance and change the charter to allow budget amendments by resolution, as long as there is a set monetary limit. “I don’t have any objection to allowing some amendments by resolution, because it makes sense,” Petruff said. A motion for Hill and Petruff to write a modified version of the budget amendment process, to be presented at the April 4 CRC meeting, passed 4-0. Petruff said people can petition the government during public comment at commission meetings or hearings, or through a referendum. Upshaw asked if there is a way to add protections in the charter against rezoning for areas such as beach accesses. Petruff said that would entail a street vacation, which has happened twice in the past 10 years. She noted that the Bradenton Beach charter includes protections against city vacations of beach access streets. A motion to review the Bradenton Beach charter to determine how the city protects its beach accesses passed 4-0. Following the vote, CRC members began discussing the qualifications and powers of the mayor. Carlson said she is concerned with the lack of qualifications required to be mayor, citing the charter only specifies the mayor must have resided in the city for two consecutive years. “If the mayor has such limited qualifications, it seems that’s a vulnerability for our city,” she said. Upshaw pointed out the CRC already voted to retain the residency requirement at two years. He stopped short of asking Petruff to investigate adding a requirement for mayoral candidates to be registered voters in the city. Petruff said any further qualifications, such as requiring a business or similar degree, would be difficult to enforce. The CRC moved on to powers of the mayor relating to department heads. The charter states concurrence of the commission is required for the mayor to appoint or remove department heads. Upshaw said at a previous CRC meeting, members were confused as to the chain of command between department heads, the mayor and commission. CRC members again discussed removing the building official from the charter, since duties for the position have changed over the years, and how the new director of development services position fits into the city’s order of operations. Petruff said the building official is required by state law to have certain licenses, which is not required for the development director. 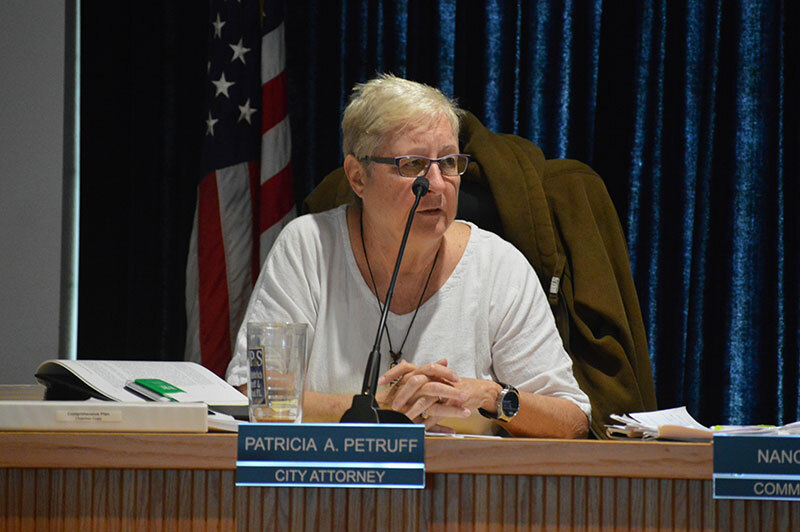 Previously, Mayor Judy Titsworth said the director of development services does not belong in the charter as it is not a necessary position if the city must cut staff. No motion was made regarding the building official or development services positions. Upshaw said the CRC would discuss form of government at the next meeting. The Holmes Beach CRC meets at 10 a.m. Thursdays through April at city hall, 5801 Marina Drive. Yes, city land can be sold. 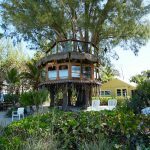 The Islander reported in March 2003 that Holmes Beach city commissioners declared the traffic island adjacent to Third Avenue in the 3700 block of Gulf Drive surplus property and sold it to the adjacent property owner, developer Pat McConnell, $25,000 in 2013. The commission also vacated the portion of Third Avenue abutting McConnell’s property at 3716 Gulf Drive, where he was developing a triplex condominium “dream home” on the Gulffront. Commissioner Don Maloney was the only opposing vote to both the street vacation and sale of the traffic island. Holmes Beach resident Joan Perry also voiced concerns over the commission’s recent actions. “Under no circumstances should this commission allow any vacations which might be construed as increasing density in a flood-prone area. Our comprehensive plan does not allow for that. A moratorium on vacations of city roads and property would certainly be in order,” said Perry. Maloney was denied a moratorium earlier to give the commission time to adopt a formal policy on how to handle land sales and vacation requests. At the March 21 charter review meeting, Commissioner Claudia Carlson read a letter from Holmes Beach resident Terry Schaefer, a member of the former ad hoc committee that reviewed the city’s form of government in 2018. 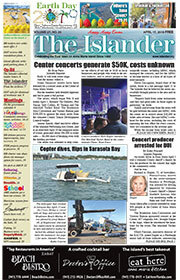 Schaefer wrote that he’s concerned the CRC has not discussed an amendment to the charter to change the form of government from strong-mayor to city-manager — a change that, according to the ad hoc committee, could benefit the city, as 68 percent of newly formed Florida cities have a city-manager form of government. “Small towns like this, that have a democratically elected mayor, are the kindergarten of democracy. That is a great thing, and we should not let it slip away,” he said.